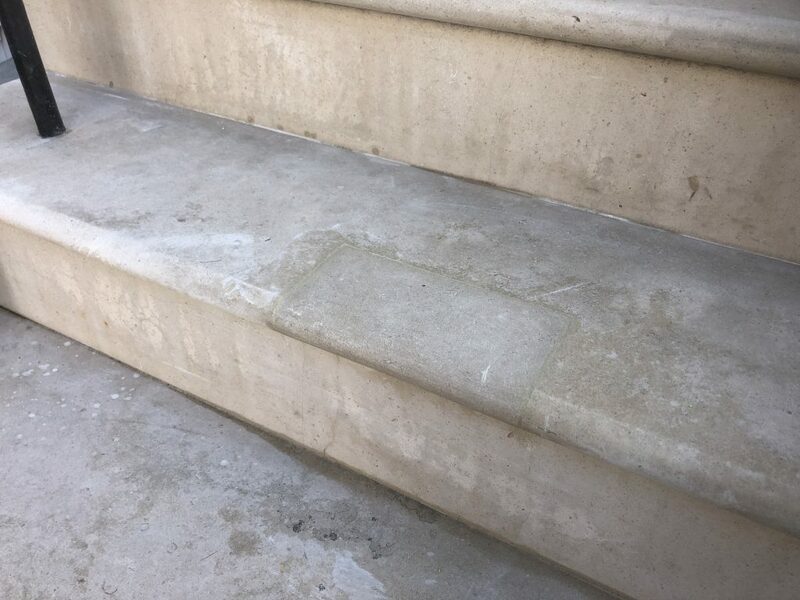 In masonry an indent is a repair whereby a damaged piece of stone is cut (out usually square), and a new piece of stone is inserted as tightly as possible into the space. The new stone can be worked beforehand, when inserted or both, so it will blend in as seamlessly as possible not distract the eye. 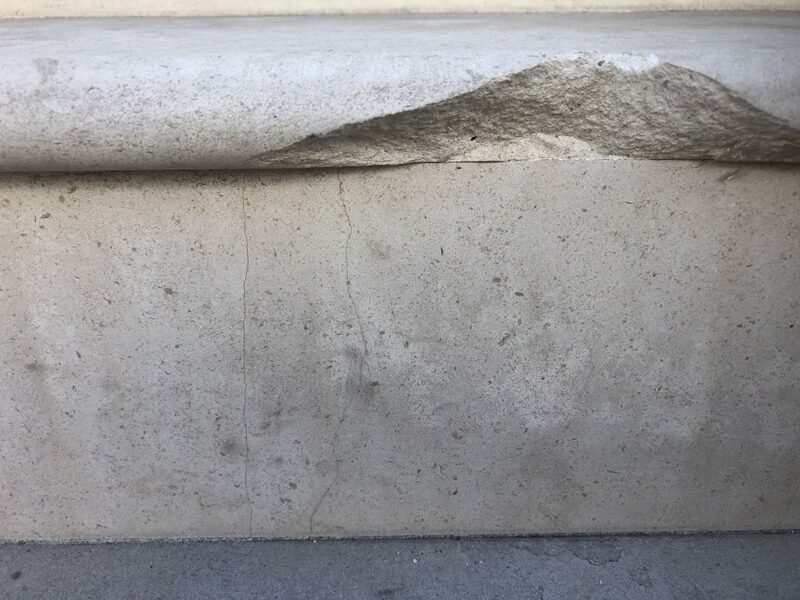 Commonly, steps are damaged when the protruding edges (‘nosings’ in masonry) are snapped off often by scaffolding or by heavy goods or just wear and tear. Bullnoses are particularly vulnerable, as the photo below demonstrates. 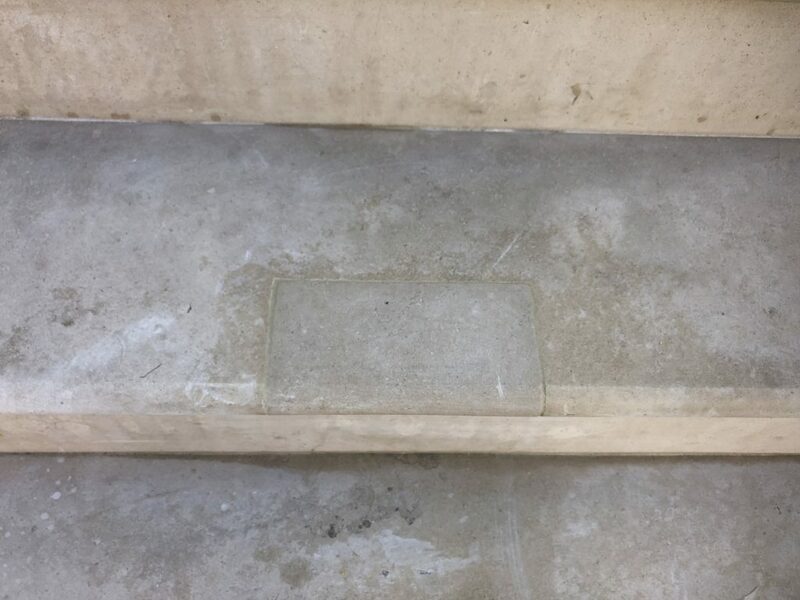 I cut out the break and used a piece of Portland to insert into the step as tightly as possible.